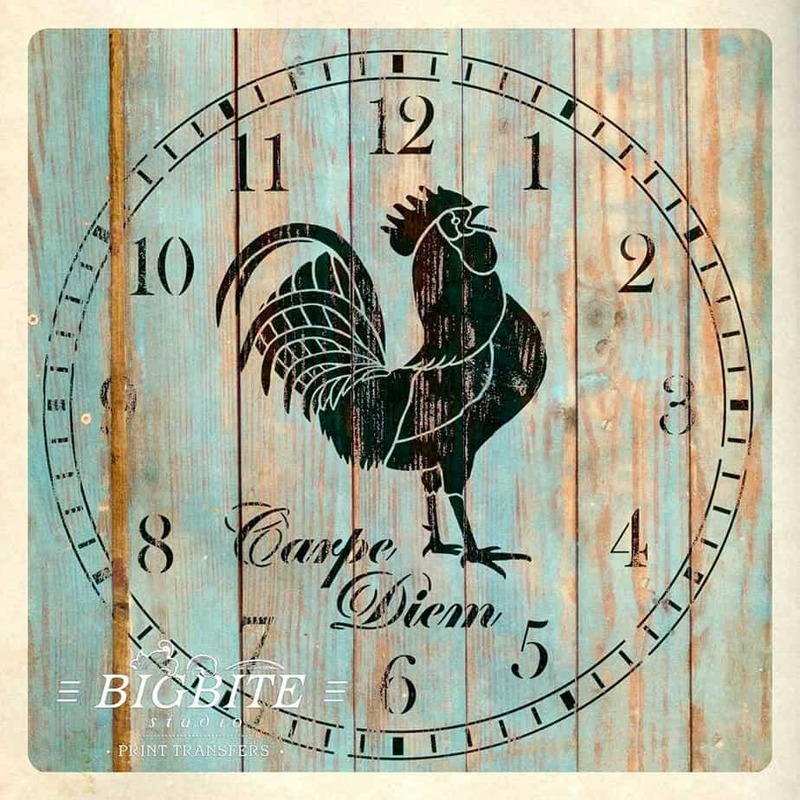 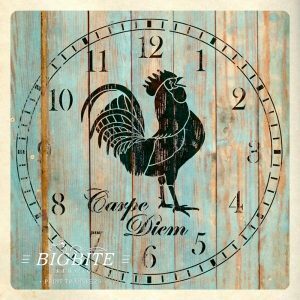 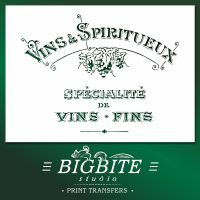 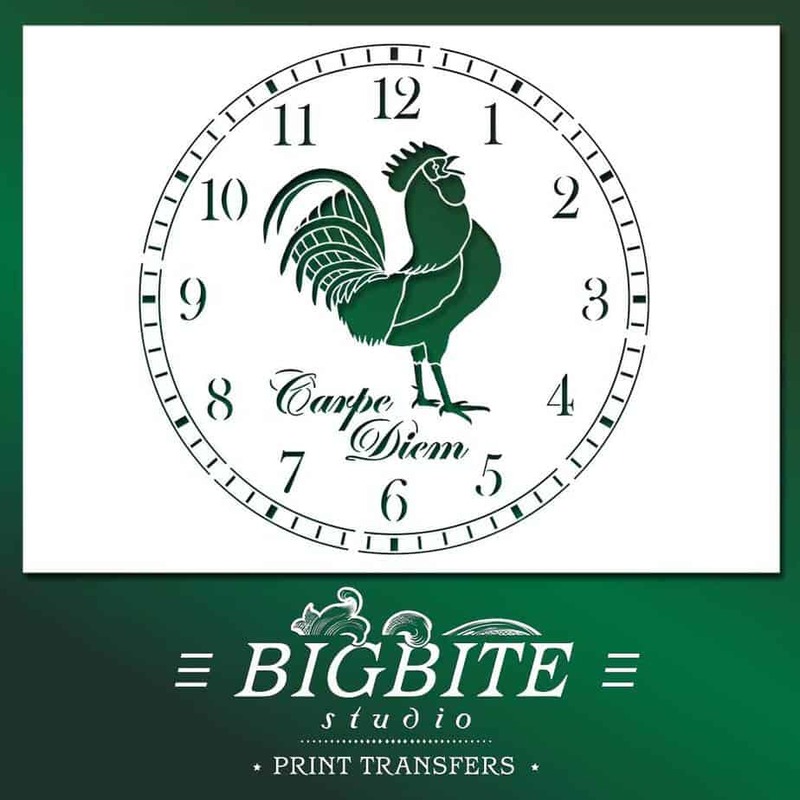 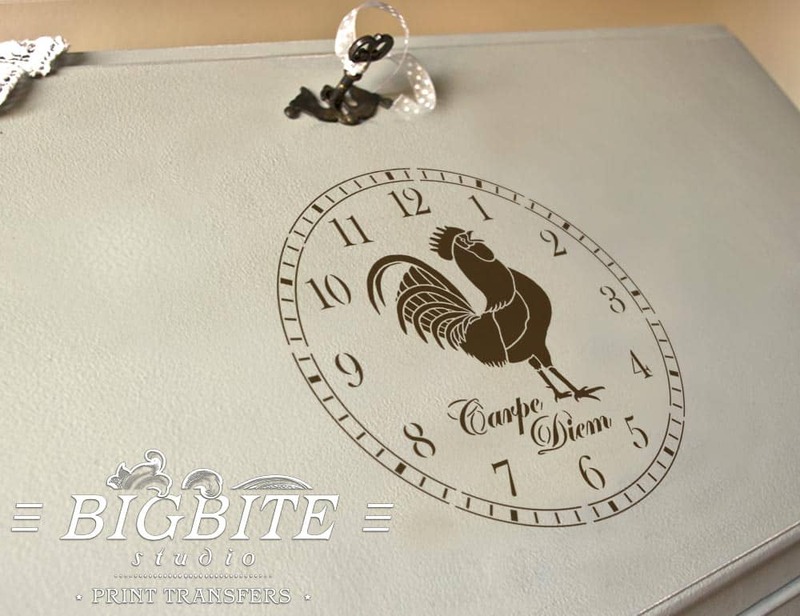 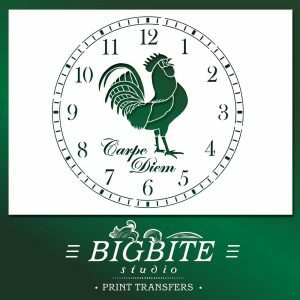 Round clock face stencil with regular Arabic numerals and a vintage rooster in the centre. 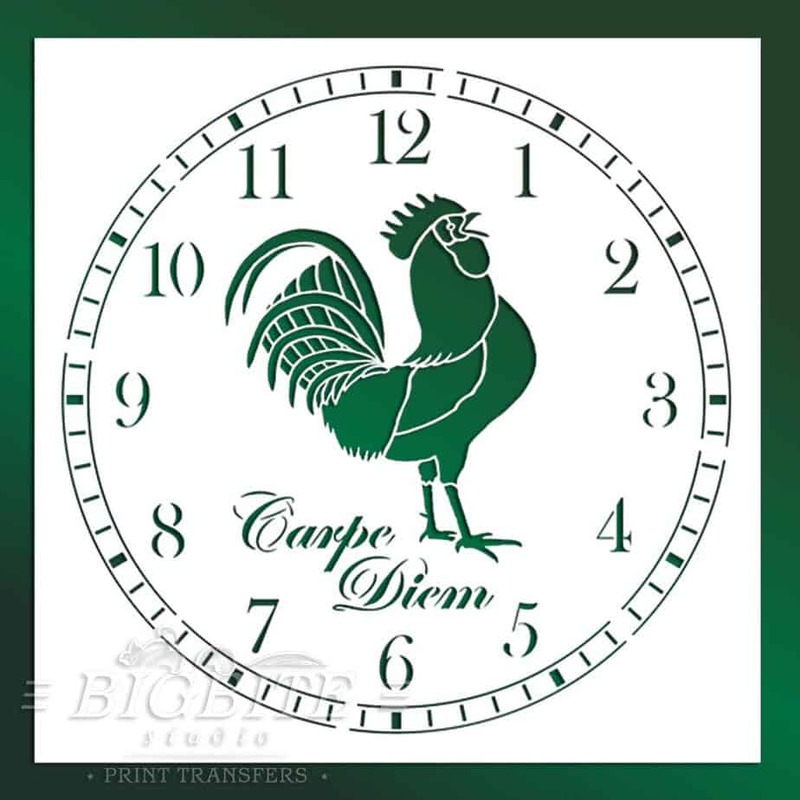 The text says “Carpe Diem” which is a Latin aphorism, meaning “seize the day”. 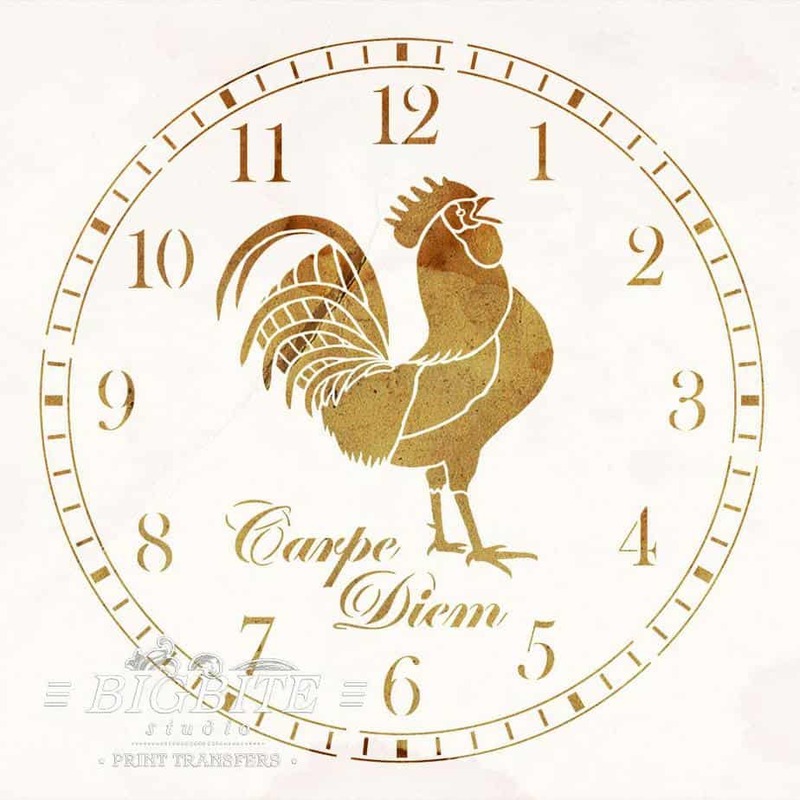 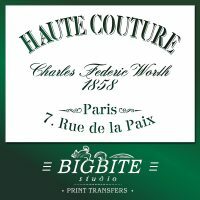 Originally the phrase was uttered by the Roman poet Horace over 2,000 years ago and says “Carpe diem quam minimum credula postero” meaning “seize the day, trusting as little as possible in the future”, but this sentence is much too long to fit on a clock face. 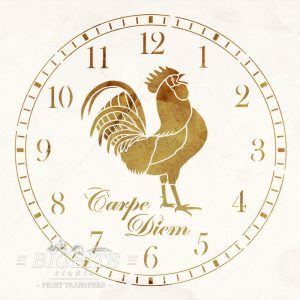 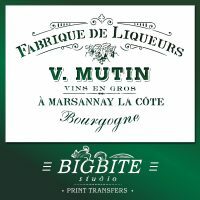 So – “Carpe Diem”, guys.